Dykstra, an architect and teacher of construction management courses, offers an introduction to managing contracted construction projects in 25 chapters. Chapters 1-7 describe the construction project environment. Chapters 8-16 address the contract documents and the bidding process. Chapters 17-22 describe the actual construction of the facility. The author wraps up the book in the final three chapters that deal with payments, contract closeout, and litigation. By and large, the chapters tend to address issues of the construction contract process chronologically, and this feature is helpful to the reader. Additionally, each chapter contains definitions of the relevant nomenclature and a set of self-test questions. The premise of the coverage of topics is that the design of the work has already been completed, and that the actual implementation of the construction will need to be accomplished by a construction contractor. Although the book discusses project management topics such as estimating and scheduling, the thrust of the work is on contract management issues such as the bidding environment, bidding process, incremental payments, and contract-related negotiations. 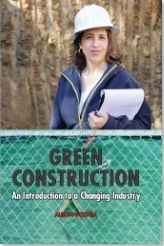 This book is useful for students taking introductory courses in construction management at both four-year and two-year colleges. Summing Up: Recommended. Lower- and upper-division undergraduates and two-year technical program students. 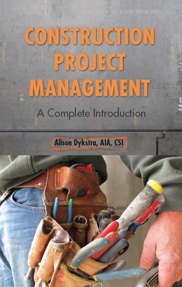 Construction Project Management can be ordered through Baker & Taylor (see Scope, Fall 2011, p. 23), Amazon, or this web site.